Among those many musical instruments out there, piano is probably one of the most popular to learn making there are so many new players out there. For beginner, it is probably better to find the most suitable ones for your current level. Two of popular pianos for beginners are Yamaha YPT 255 vs YPT 260. These two are rather similar to each other but also have some different sides to them. If one or two of them took your interest, go check our article below. 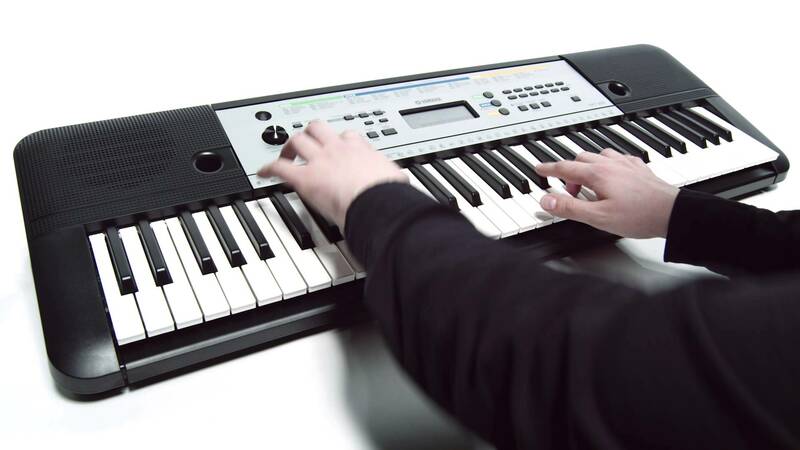 We are sure, when looking for a keyboard, no matter if it is for more experience user or beginner, Yamaha’s name is often included on the list. For new users or aspiring artist, the company has launched several units created for the specific market and one of them is the YPT 255. Even though new players still won’t require much features, it is important to find the piano which you are going to enjoy playing with of course, a good sound. The unit is perfect because it offer both great sound yet still simple to play. 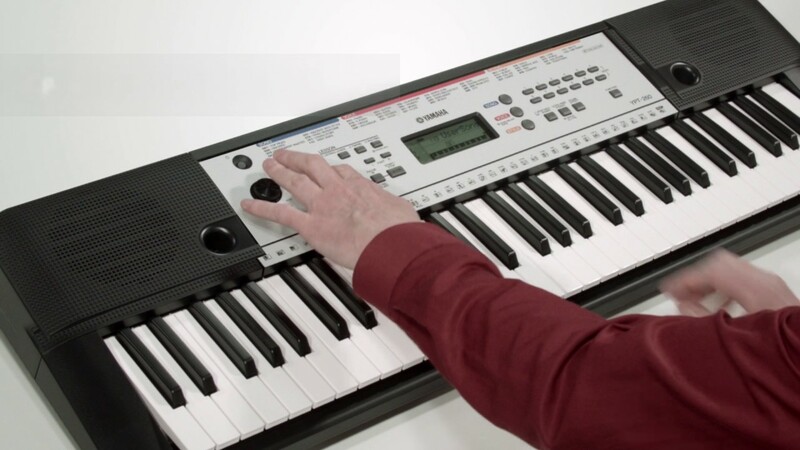 As you can see, the Yamaha YPT 255 is a 66-full sized keyboards, so it is clear that the unit is made for beginner for people with more experience will look no less than 88-key. It has a small and compact build with decent quality plastic material. The piano is light enough weighing only at 9 pounds, so you can easily carry it or store it when not in use. The control panel is located conveniently at the top and in both sides you can find its built-in speakers. Now let’s talk what the piano can offer to you. When looking for a piano, the most important thing is considering the sound. The Yamaha YPT 255 is coming with a 385 high-quality voices such as pianos, flutes, and guitars. As expected from Yamaha, the grand piano voices is particularly great with the stereo-sampled sounds giving you a superb presence. As a beginner piano, you will have 100 styles and 102 preset songs here to support your learning journey. 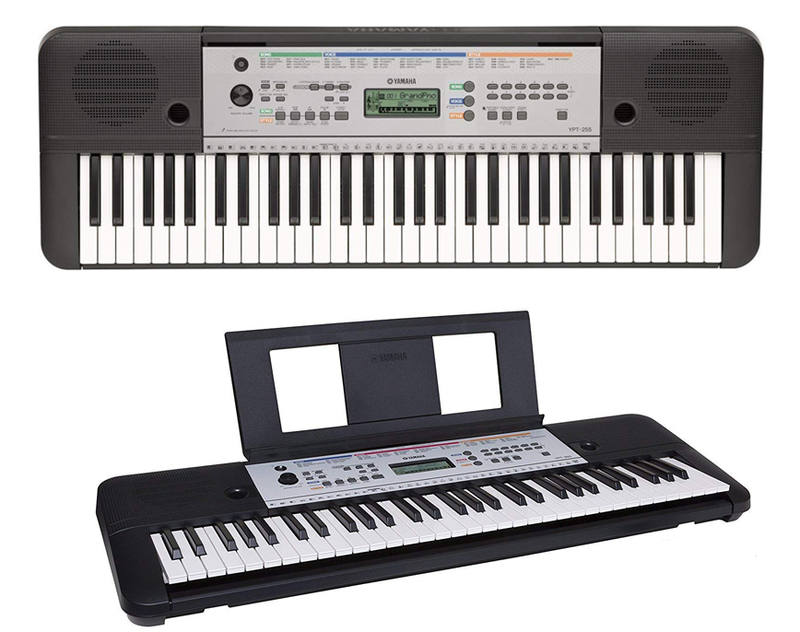 Read also: Alesis Recital vs Alesis Recital Pro here. With this amount, now you can play with a real-time backing band tracks and feel like a pro with those many auto-accompaniment styles to give you that virtual live band based on the chord you are playing. As for the built-in songs, they can be played to help you get familiarized with the rhythms of certain songs, moreover, you can use them together with Yamaha Education Suite. As for the Yamaha Education Suite, here you can find lessons in 9 stages consisting of 3 for the left hand, 3 for the right hand, and another 3 for both hands. Its scoring function will help you keep in track and improve your play while the waiting function will adjust the tempo to your playing and pausing the accompaniment until you press the right key. As for the connection, this piano has AUX input jack to let you plug your audio player, MP3, or any music devices to listen or play along. If you are still not satisfied with all you get from YPT 255 and want to find a similar more powerful electric piano for beginner, you may want to take a look at the model’s higher version, the Yamaha 260. The piano is actually has too many similar capabilities with the one we have talked earlier but it also has some additional bonuses to offer. For starter, the unit is still very suitable for new player packed with learning functions to help you start quickly. As it has been mentioned earlier, the YPT 260 is actually very similar to YPT 255, so this one is also a 61 full-sized keyboard. This type of keyboard is great for those who never had lesson before since you will most likely playing the keys in the middle. The control panel is still located at the same place with a small screen in the middle of the controls. Located at the top side, you can find the built-in speaker and since it can be operated with batteries, you can easily use it anywhere without worrying about power source. The Yamaha YPT 260 is boasting the lesson features it comes with since if in the previous model you only get 385 voices, now in this model you are going to be offered with a whopping 400 high-quality voices to allow you play and enjoy music in any genre. Coming from Yamaha, you also don’t have to worry about the quality of the sound since the company has coming with a great history in making other instruments as well. As for the accompaniment styles, the piano has 130 auto accompaniment while you can polished your skill with 122 songs in Yamaha Education Suite that you can download for the web. The on board lesson is still utilizing the 3-step lesson for each hand and both hands starting from first listening and learning the melody of the part you selected and then remember it well to play them in a correct timing. Even if you press the wrong key, the right one will appear on the display. The third step will wait for you to play the right note and adjust the playback tempo to match the speed in which you are playing. The duo mode that split the keyboard by creating two middle C notes will be great to play together with friend, family or teacher. There is an AUX jack to connect your music player and listen through the piano speaker. Now, let’s compare Yamaha YPT 255 with YPT 260. As you may already noticed, what separate these electric piano is only the fact that YPT 260 is coming with more voices, auto accompaniment styles, and songs than YPT 255. Outside it, the keyboards are having the same capabilities in term of providing you with learning functions. All in all, the decision is all yours to make. In our opinion, you can’t go wrong with either of them, but if we are to choose, we will recommend you to pick Yamaha YPT 260 because it is coming with additional voices, styles, and songs.